The afternoon was at its most beautiful when we finally decided to go out of our room. 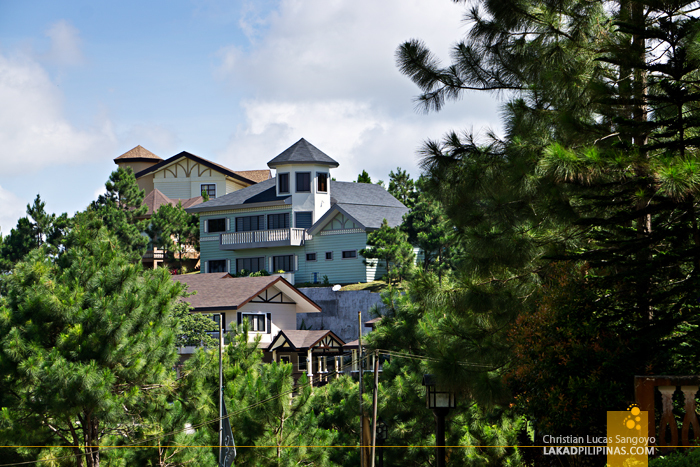 With golden rays slanting heavily on the pines surrounding Crosswinds Tagaytay, we were almost tempted to walk the three-kilometer winding road all the way to the main highway where we can hail a jeepney to the city’s downtown area. The light became more radiant as the resort shuttle dropped us off at the café with a faux windmill, and like crazy kids, we quickly ran down the road. 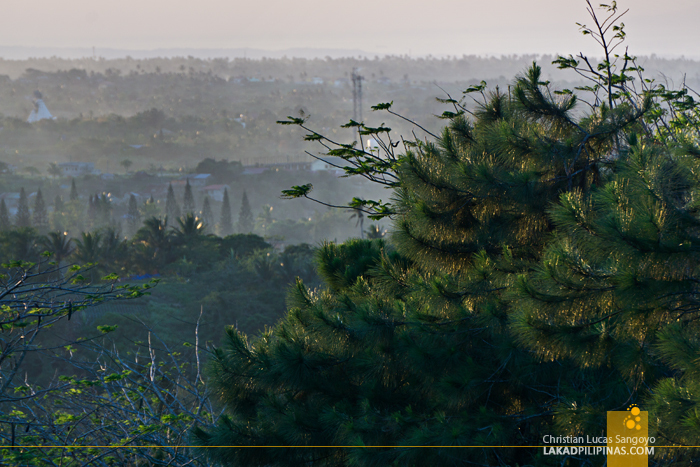 We were hoping to catch the resort’s iconic Hollywood-esque sign bathed in golden light which could only be seen right on Tagaytay’s main road. 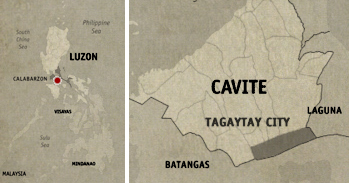 It’s been quite a while since we last visited Tagaytay, and with our two-month Same Same Summer Trip looming ahead, we thought of having a quick staycation south of Manila. 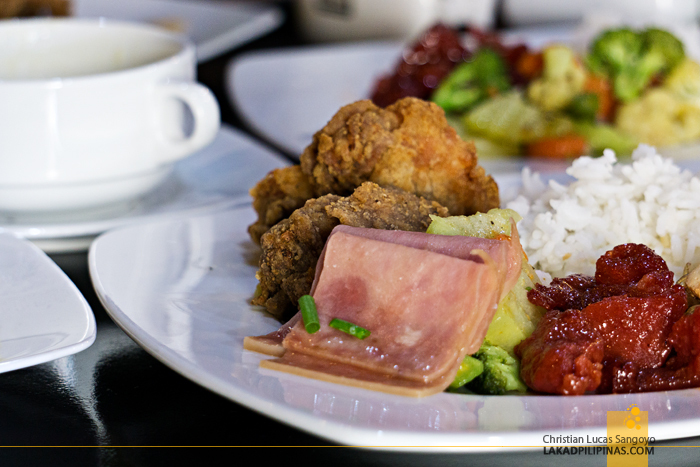 The thought of sipping a hot bowl of bulalo and a few bottles of beer overlooking the Taal Volcano made us pack our bags for the weekend. 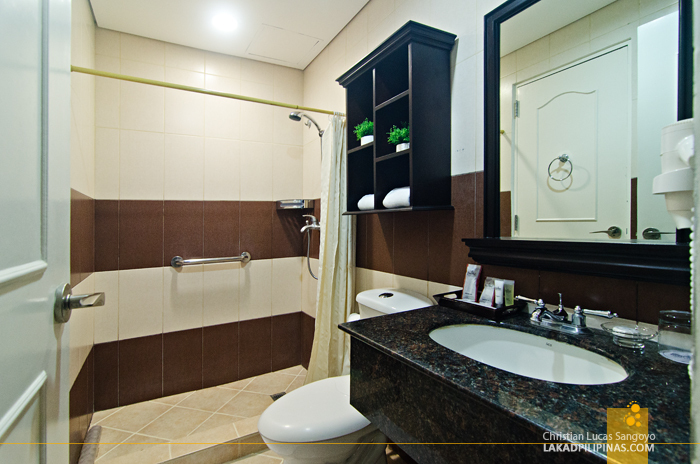 Our lodging of choice this time was Crosswinds Resort Suites Tagaytay. 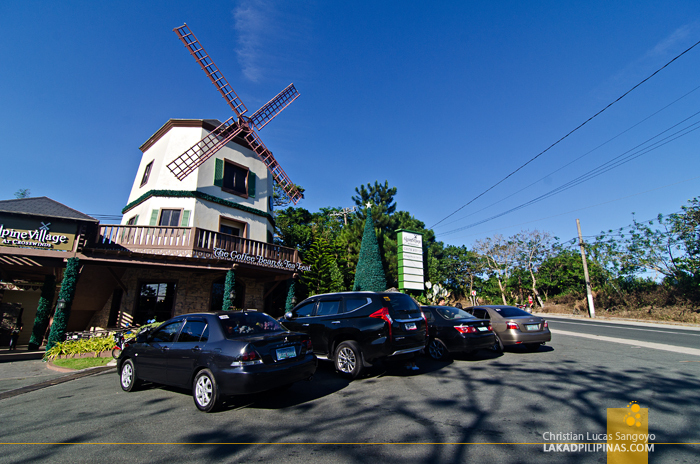 Located on the southwestern side of the Tagaytay-Calamba Road, it’s two jeepney rides away from Magallanes—the main gimmick strip in Tagaytay—but is within striking distance with some of the more popular tourist spots in Tagaytay like the Picnic Grove and People’s Park. Its location itself is very picturesque. 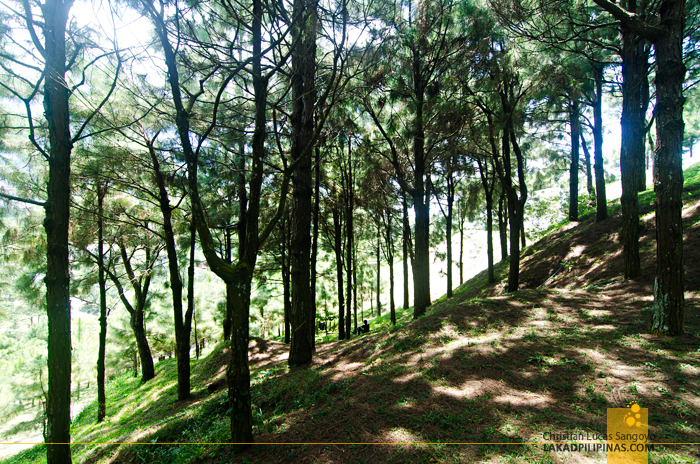 Nestled on undulating hills filled with lush pine trees, the resort is accessed from the main road by a shuttle van. The trip takes about five minutes. A very Baguio-ish five minutes. 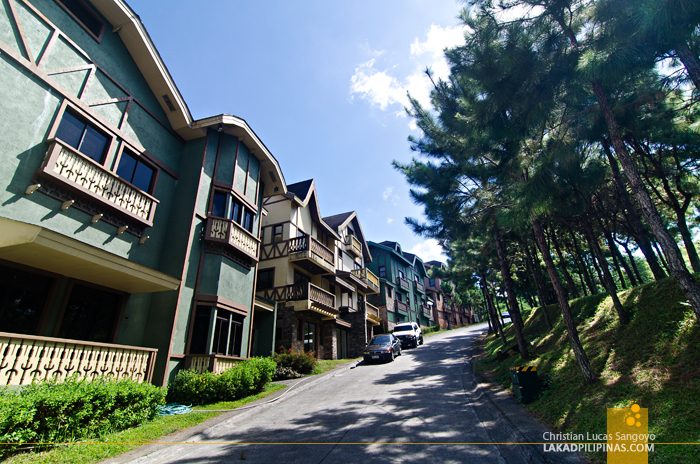 The place, with its pines and its hilly terrain, has a very Camp John Hay feel to it. Well, except the structures within its grounds aren’t American clapboard houses but Swiss-styled chalets! 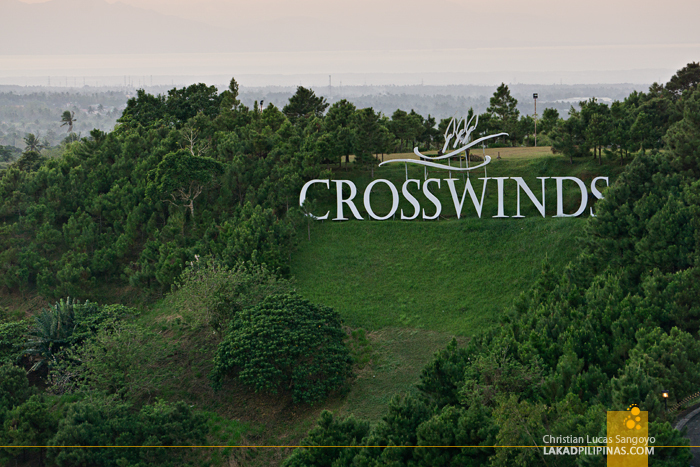 Crosswinds Tagaytay sprawls over a hundred-hectare land. 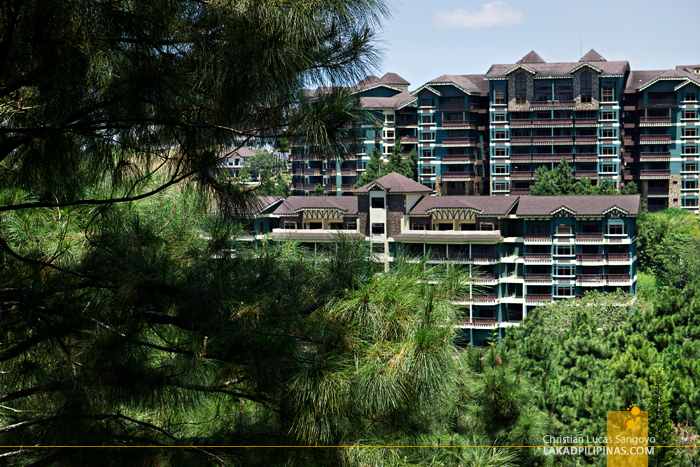 In between patches of pine trees are residential chalets, and right in the heart of it stands two hotel towers—the third one, soon to open—for resort guests. The whole effect is laid back and very charming. 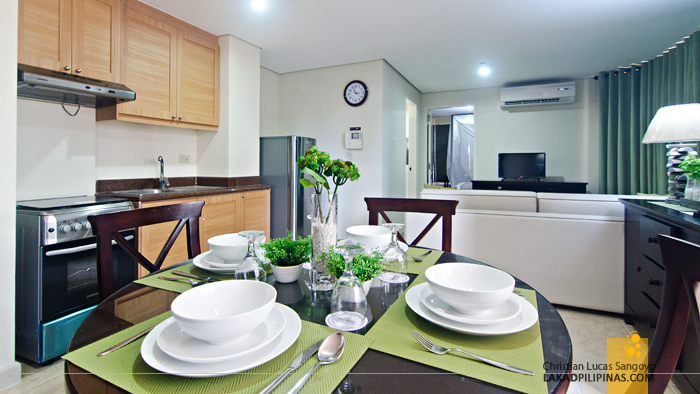 We were billeted on their One-Bedroom Suite at the second floor of Tower Two [CHECK RATES & AVAILABILITY]. 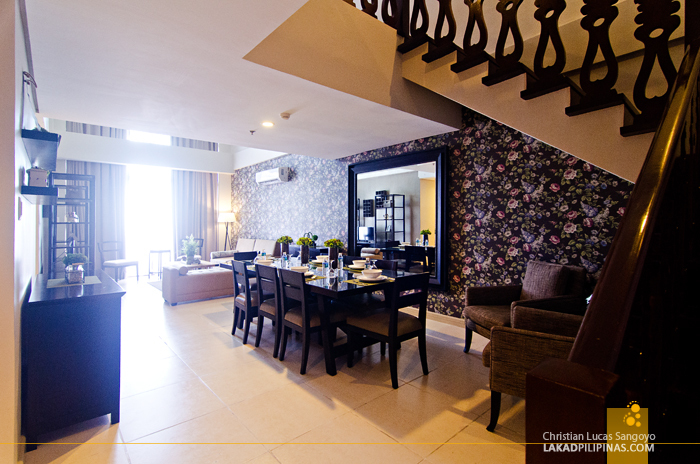 While the lobby itself isn’t really that remarkable, like say that of The Manor in Baguio, our room definitely wowed us. 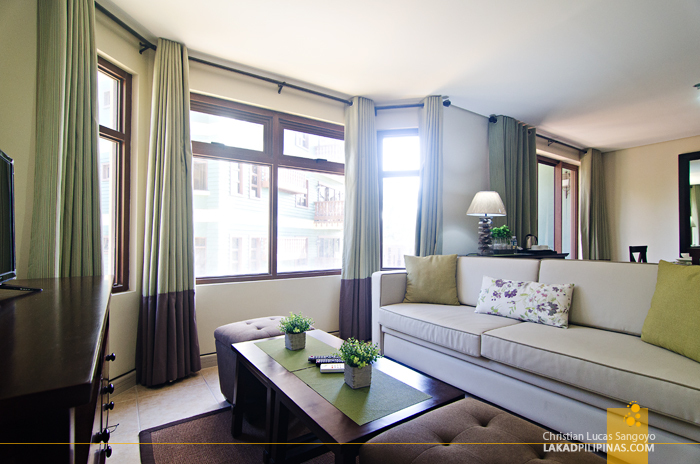 The suite was more than spacious for two people (it can house a maximum of four guests). It has its own working kitchen complete with pans and utensils, a dining area, a mini-living room with flatscreen cable television, a balcony overlooking a forest of pine trees, and an en suite toilet and bath that also connects with the bedroom. 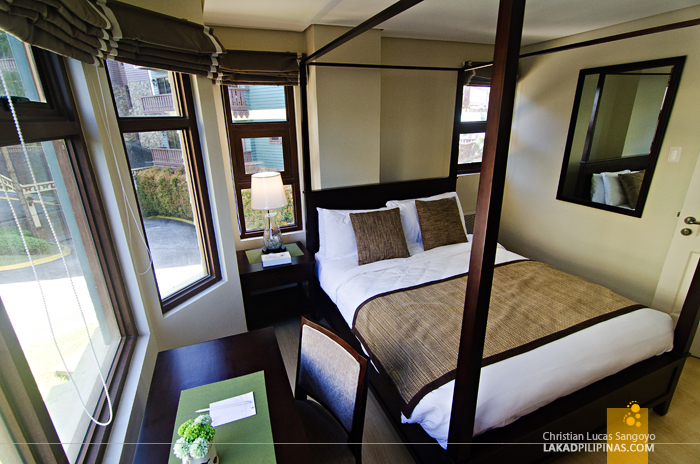 Our bedroom is set with a queen-sized four-poster bed complete with a classic-looking sheer white canopy cover. It also has a work table with a huge window overlooking the street below, perfect for blogging while on staycation, lol. A tip for those looking for a discounted stay, book during weekdays and you’d be surprised how low their rates are! The next day, after a hearty complimentary buffet breakfast at their Banquet Hall, we went out to have a look around the property. On board their free shuttle, we went to the Christmas Village, a couple of holiday structures with a very Christmasy theme all year round. One of these houses is a gift shop, which unfortunately, was closed at the time of our visit. We then proceeded to their outdoor pool, passing one cute chalet after another before alighting. 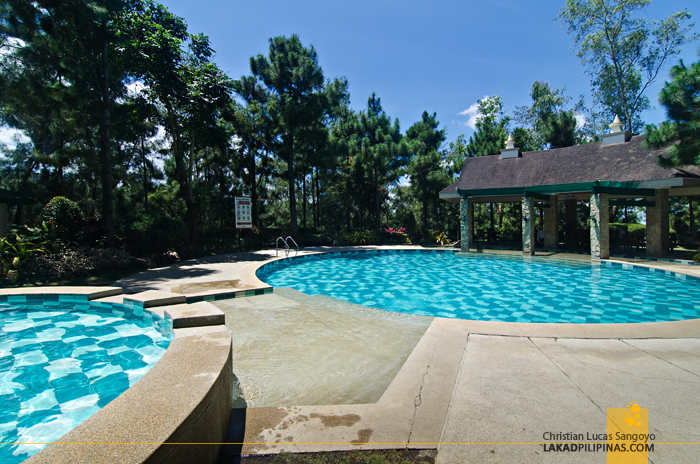 Crosswinds’ circular pool, surrounded by pines, looks very refreshing. We would’ve taken a dip too, but we forgot to bring any swimwear with us. Lunch quickly followed and we didn’t need to go far to satiate our appetite. 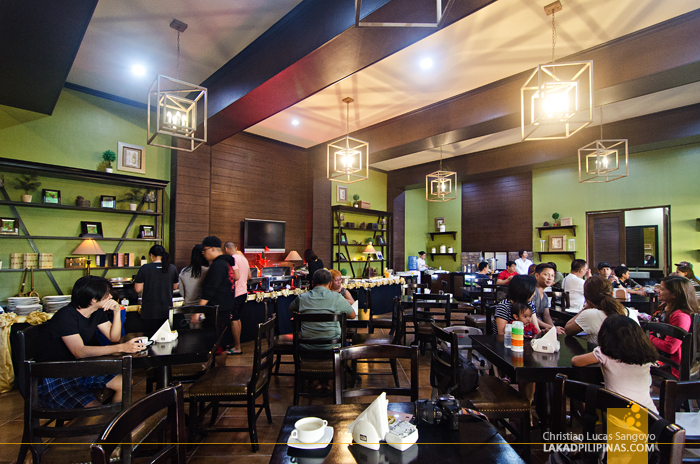 Right by the resort’s entrance sits Café Voila, an Asian restaurant with really legit servings of Thai, Vietnamese, and of course, Filipino dishes. They also have a coffee shop just beside it, Coffee Bean & Tea Leaf, should you feel the need for a caffeine fix. In between our wanderings around Crosswinds Tagaytay’s massive grounds and our cooking sessions within our room (no corkage fee for the food you bring in, by the way), we also went out every night for bouts of drinking and coffee sessions along the Magallanes Strip. Surprisingly, even without Uber or Grab (or even traditional taxis), it was quite easy to hail a jeepney along the road even at night to get there. 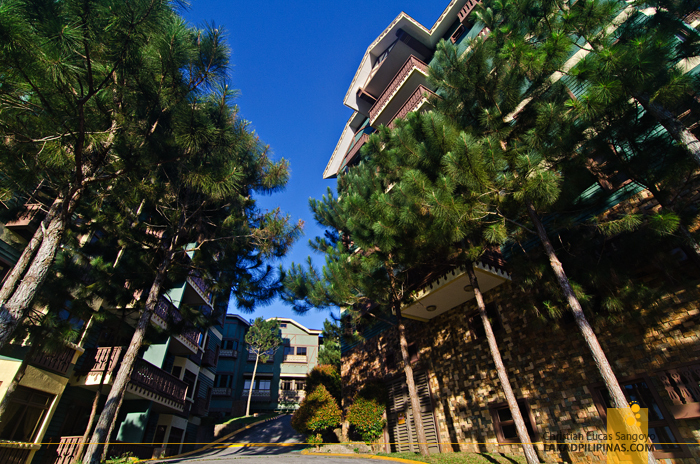 Staying at Crosswinds Tagaytay was really just what we needed before embarking on our long hurrah around Asia; relaxing stay, superb food and fun company with friends. 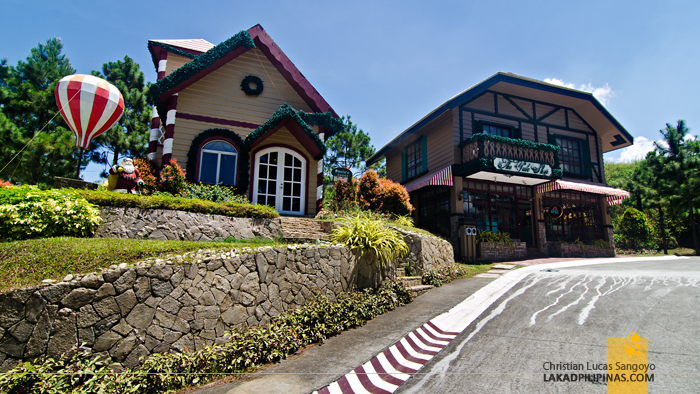 ~ OUR STAY WAS MADE POSSIBLE BY CROSSWINDS TAGAYTAY. VIEWS AND OPINIONS ARE ALL MINE.